We Get Rid Of Super Lice! Have A Wonderful, Hopefully Lice-Free, Summer! Recently a client welcomed family friends from another state into her home. These family friends had recently treated their daughter for lice but the mother had not been checked and did not care to use our services at Lice Knowing You. The friend stated that her daughter gets lice a few times a year – they get rid of it and move on. It’s not a big deal – it’s just another thing to deal with. This is unfortunately a very common phrase among many preschools, some schools and many families. Let me tell you – Lice isn’t something to just “deal with”. It’s a problem and can become an epidemic if not treated and/or prevented. I’ve said it once and I’ll say it again – lice is the second most common childhood affliction next to the common cold. 1 in 4 children in our country will have lice at some point during their school years. Lice can cause stress, parents have to miss work, kids miss school and, in some cases, lice can cause sores and bleeding on an infested scalp. So I ask you — How is lice not a big deal? Moving into the summer months – as children go away to camp, head to play-dates where they’re playing dress-up or sharing helmets – I urge you to help educate your friends, family and even your children about lice. Teach your kids not to share helmets, hats or brushes. If you’re sending your child to camp – make sure that they put their long hair in a pony tail or a braid. Don’t share pillows – and if kids are at a sleepover – keep hair up and away from other friends’ heads. And as always, if you can – use some sort of lice prevention spray, shampoo and/or conditioner on the hair. 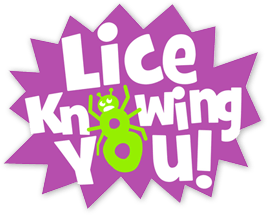 Lice Knowing You isn’t just a clinic or a place where you can buy head lice detection, removal and prevention products – it’s a company that cares about keeping the families in our community healthy and lice free for generations to come. ← Just what is in our products? Are Lice Seasonal in Seattle?